Chicago Clout – Page 167 – "Hiya, Sweetheart! You stayin’ out of trouble?" 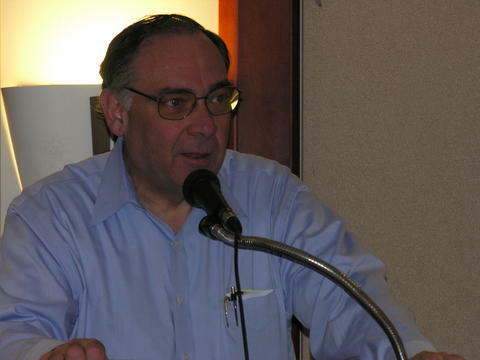 This is Randall Sherman the Secretary/Treasurer of the Illinois Committee for Honest Government. 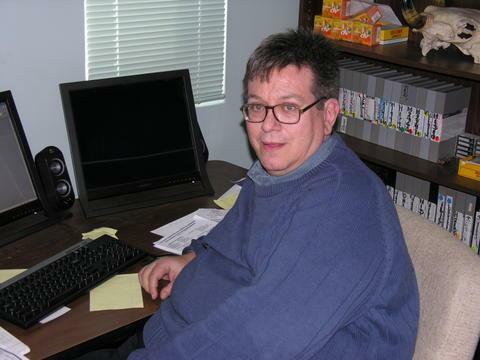 Randall is also a Television Producer since 1990. He has produced shows with Frank Avila, Frank Coconate, Mick Dumke and the “SuperStar” Patrick McDonough. The shows were very informative and are seen on CAN-TV in Chicago. I do not know people with as much political information as Randall. He is a Chicago Treasure. Contact Randal at: shermanrandall@hotmail.org Clout Rating: I am Biased, I respect Randall greatly. 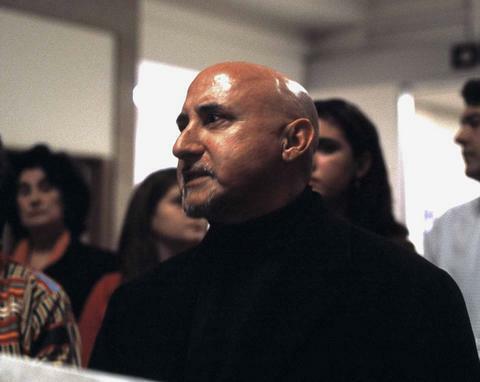 On March 18, 2006, Plumber’s Local 130 Business Manager, James Sullivan, thanked all the Plumbers that showed up for the Political Action Task Force. At the Plumber’s Chicago and State mandatory required licence four hour renewal class, James Sullivan requested 500 Plumbers for politicking. On Saturday, March 18, 2006 only about 55 Plumbers attended to pass out Political literature. After Tom Dart, a Sheriff Candidate spoke, we went politicking in the 47 ward. I asked some Union Local 130 Plumbers from Chicago why the light showing, I was told since Mayor Daley’s Hiring Scandal, Local 130 cannot get Chicago city jobs on union clout anymore, so why do politics. The old Business Manager, Gerald Sullivan, could get city plumbing jobs for it’s members. Also Local 130 does not go to bat for it’s members that are employed by Chicago Water Department. Clout: Union money, losing clout quick. I met mark Brown in 2003 in Andersonville, I spoke with Mark about the Corruption in the Chicago Water Department. (Chicago Water Management). Chicago changes names of departments after the Feds go through and clean them up. Mark Brown is a well respected writer in Chicago. If you wish to tell him your story, be prepared, be organized , and be honest. I assure you what makes Mark Brown great is he looks right through the person and into your soul. Do not call Mark Brown if you think you will b.s. him. Mark Brown in my opinion, made the “Hired Truck Scandal”, unravel into what it is today. Patrick D. McDonough. Mark Brown Clout Rating: Highest and Deserved. I am sorry I do not have any pictures of these Awesome Reporters. If I catch them sneaking around Chicago City Hall trying to get a straight answer, I will update this post. I have attempted to help these Chicago Tribune Reporters on several occassions. Gary Washburn had a scandal and one half with the “Clout and Overtime”, but Mayor Daley’s Administration published the Overtime List prior to publication. Remember one thing for absolute certain, Reporters of this high caliber research, double check, and redouble check. It takes time to be sure everything is correct. While getting FOIA,(freedom of information act request) the administration can act quickly to cover things up. If you have a story, I recommend calling Chicago Tribune’s best, Laurie Cohen, Gary Washburn, Todd Lighty, and Dan Mihalopulos, leave message at 1-312-222-4316. Have information in hand, be organized. Clout: Highest rating. 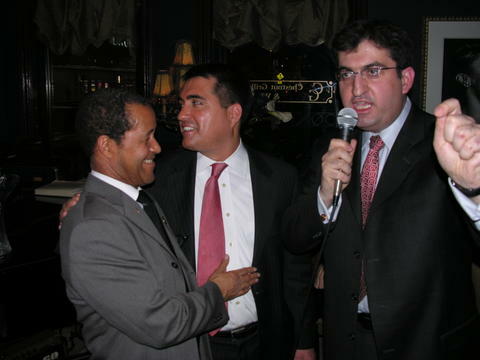 I met Jesse Jackson Jr. on several occasions. He has a beautiful wife and daughter. Even with media present, Mr. Jackson made time for his family. You could tell this is not staged, Jesse’s son enjoys his father. I also rate clout on how a person is received by his family, I am impressed. Future Mayor? Well Frank Coconate? 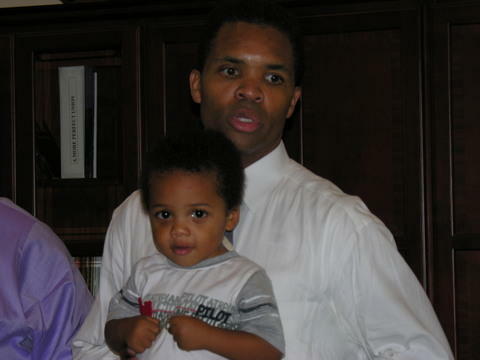 I have more pictures of Jesse Jackson Jr. with his family, they look like first family photos. Patrick McDonough. Clout rating: keeps getting better by the second. Classy Clout.